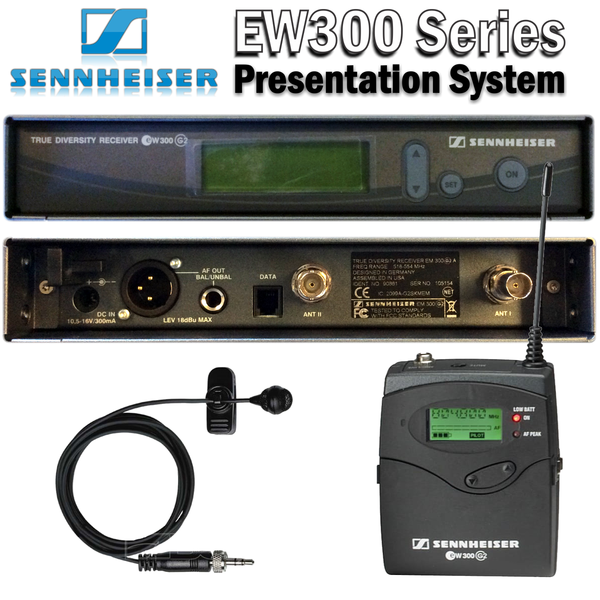 The Sennheiser Evolution 300 Series wireless microphone system includes the EM300G2 receiver, SK300G2 bodypack transmitter and ME4 cardioid lavalier microphone, with 1440 tunable frequencies and 4 frequency presets. 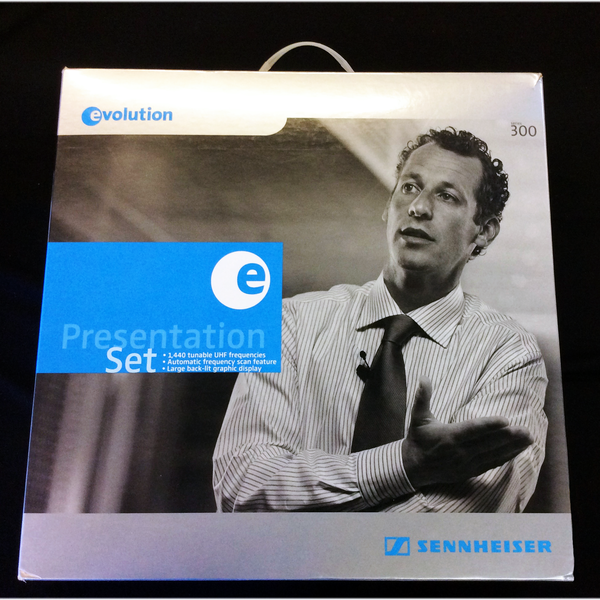 The 300 Series system is a great choice for presentations, sermons, stage productions, educational or sales demonstrations and the like. The ME 4 clip-on lavaliere microphone is nearly invisible and has both excellent feedback rejection and a wealth of available gain before feedback. 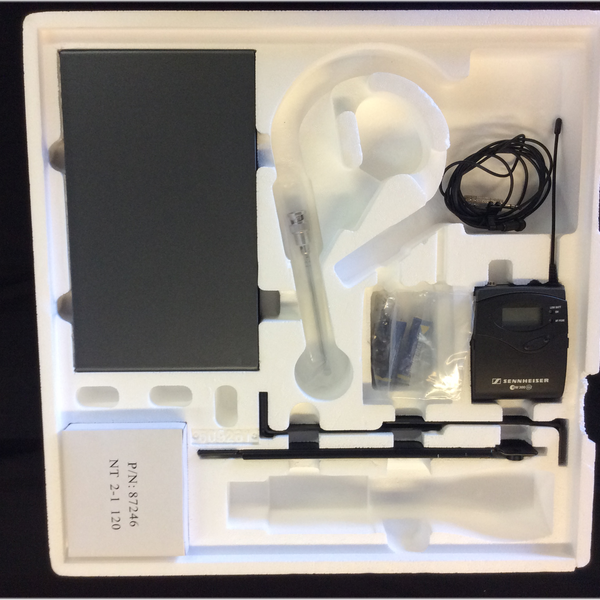 The small yet durable SK 300 G2 bodypack transmitter and the EM 300 G2 rack-mount receiver feature nine frequency banks with eight directly-accessible presets each – making them ready for immediate use. The EM300G2 receiver is made of a durable metal enclosure and features a high-visibility backlit LED display. The receiver features 1/4" and XLR balanced (switchable) outputs; its 8 preset memory locations can be reassigned to any of the 1440 available frequencies within the 32MHz tuning range. The SK300 bodypack transmitter is housed in a compact, rugged enclosure. It also features a backlit LCD display and 8 preset memory locations that can be reassigned to any of the available 1440 frequencies. 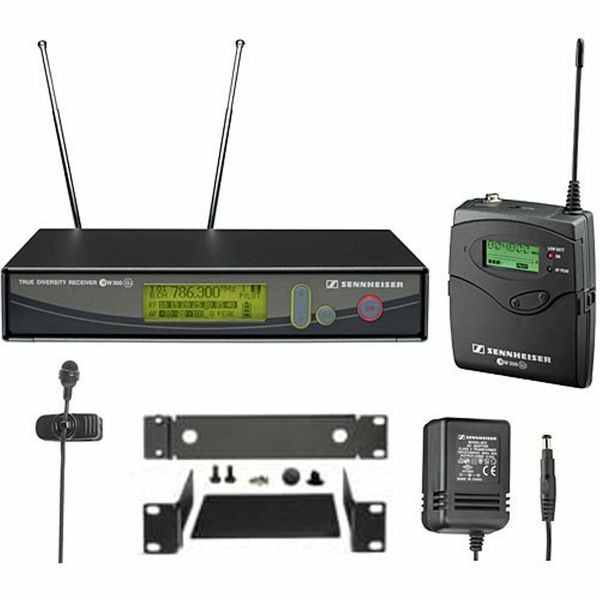 The transmitter features an 1/8" locking-mini input for compatible lavalier microphones. The ME4 cardioid lavalier microphone offers a sensitivity and frequency response suitable for capturing in the most demanding environments. · 1440 frequencies within a 36MHz switching bandwidth for greater tuning flexibility. · Robust metal construction for durability. · New battery concept(AA cells and rechargeable battery accessories). · Transmitter battery status telemetry on all models. · Audio signal metering on transmitter LCD display. · External charging contacts on 300 series bodypacks.